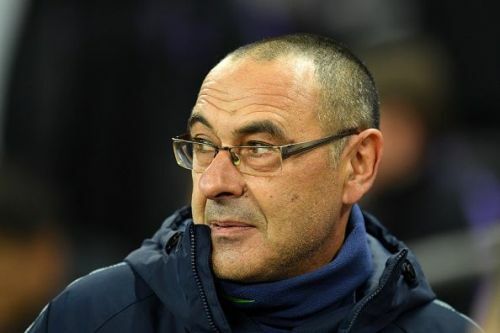 Maurizio Sarri's honeymoon at Chelsea came to an abrupt end in London last weekend when Chelsea received a drubbing at the hands of city rivals Tottenham Hotspur. Goals by Dele Alli, Harry Kane and Heung Min Son gave Tottenham a comfortable 3-1 win. More than the scoreline it was the manner of the defeat that raised eyebrows as Chelsea were by far second best in what was a thrilling display by Tottenham. At no point in the game did Chelsea look in control of the situation. While this was Sarri's first loss as Chelsea manager, he admitted that the performance was 'a disaster' - a word he used thrice during his post-match press conference. Here, we take a look five changes Sarri must make to turn Chelsea into a title contender. #1 - Make Kante Great Again! Italian midfielder, Jorginho has been key to Sarri's system since his days at Napoli - and with good reason. The Brazillian born midfielder has in the past revealed that he considers Xavi and Pirlo as his role models. In Sarri's system, it would not be unfair to say everything goes through the 26-year old midfielder who sits in the base of midfield controlling the tempo of the game. Belgian powerhouse Radja Nainggolan has called Jorginho as the toughest opponent he has ever faced because of how quickly the former 'distributes the ball while being practically stationary'. However, Pochettino's targeted man-marking of Jorginho using multiple players to do so severely affected Chelsea's ball transition. Jorginho also struggled in the defensive aspect of the game, failing to close in on Harry Kane, giving the latter time and space to take a long distance shot that led to the second goal followed by his inability to deal with Heung Min Son for the third goal. This is not to say that Sarri should radically change his system, one that has served him well in the past few years. Not every team in the League has midfielders and attackers of the quality required to replicate Pochettino's tactics successfully. 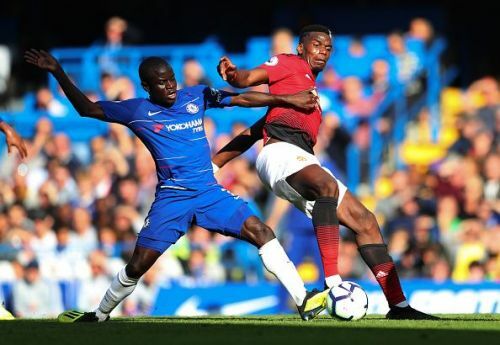 However, it would behove Sarri to consider playing N'golo Kante either as the holding midfielder or sitting deeper in a double pivot next to Jorginho in certain games of the season when facing tougher opponents - the upcoming game against Manchester City next month for example. N'golo Kante who is widely considered one of the best defensive midfielders in the world recently signed a new 290,000 pounds-per-week contract with Chelsea making him the club's highest paid player. This decision, however, has come at a cost as Kante's defensive contribution has fallen to 1.8 tackles per 90 minutes from 3.4 and 3.6 per 90 minutes in the last two years. Playing the 27-year old Frenchman in a deeper role is a solution that Sarri must consider in certain games to avoid a repeat of what happened over the weekend. Premier League 2018-19: Is Maurizio Sarri really responsible for Chelsea's woes? Manchester City 6-0 Chelsea: A surprise or a calamity in the making?